Jennifer Weber has received an increased electricity bill this month. The single mother of two, working two jobs, said that her electric bill has increased by over $50 from last year’s August bill, totaling $360. “The increase in electric bills is definitely affecting me and my family,” she said. Despite Weber trying to raise the temperature in her home, her bill has only continued to rise in the past few months. 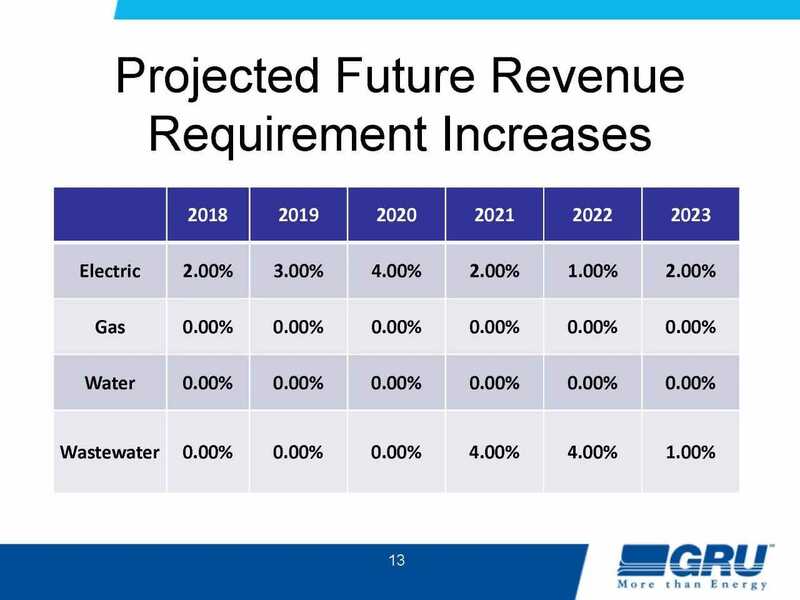 She isn’t the only Gainesville Regional Utilities customer who is experiencing higher bills, and based on the projected base rate increases over the next five years, she can only expect it to go higher. 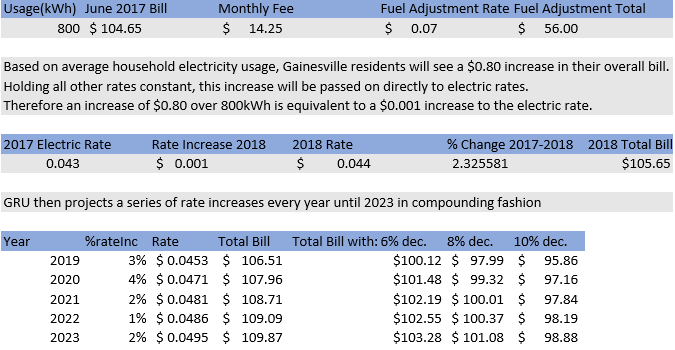 Although lower utility rates have been the reasoning behind the Gainesville city commission’s support for the recent GREC purchase, rates are not decreasing as much as residents had hoped. In fact, while there will be a short-term decrease in rates due to the biomass plant purchase, the speed at which GRU’s rates are increasing would cancel out these efforts within five years, meaning customers’ bills will still increase in the long run. Electricity rates are projected to increase each year in a compounding fashion. The increase for 2018 is the only approved increase currently, according to GRU. 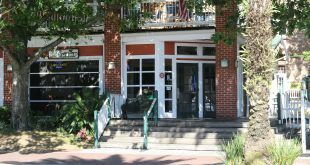 Mayor Lauren Poe signed an asset purchase agreement on Sept. 12 to end the current power purchase agreement (PPA) between GRU and the Gainesville Renewable Energy Center. 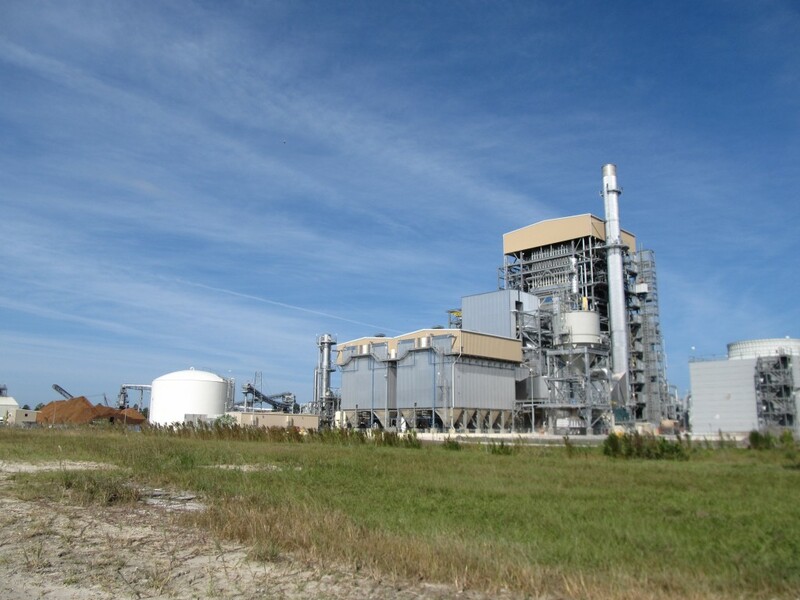 The agreement allowed GRU to purchase the biomass plant for $750 million. 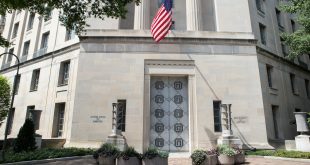 The purchase is predicted to save the city $27 million annually, which will lead to an 8 to 10 percent decrease in rates, according to Adrian Hayes-Santos, district four city commissioner. Hayes-Santos said the rate decrease is proposed in the 2018 GRU budget, and customers should begin seeing that reflected in their bills at the beginning of the year. 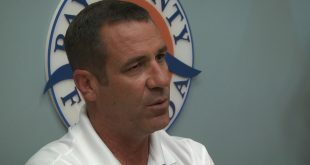 “I think an overwhelming portion of Gainesville residents want to lower rates, and this is the only way forward to actually lower utility rates,” he said. Despite these promises, the city commission approved a 2 percent base rate increase for electricity in 2018 and is projecting a 3 percent increase in 2019. In the next five years, base rates could increase as much as 14 percent. “Even if they save you 8 percent, they’ve already raised you 2 percent, so you’re really only getting 6 percent, if you can do math,” said Annie Orlando, Utility Advisory Board member. The average electric use for GRU customers across the city of Gainesville is 800 kilowatt hours per month, according to GRU. With the 2 percent base rate increase, a residence that uses 800 kilowatt hours can expect to see an $.80 increase in each month’s bill in 2018. According to GRU’s Home Energy Advisor Tool, factors that contribute to the amount of energy a residence uses throughout the month include the type of appliances, the number of people in the household and the average temperature of the household. Gainesville has the fifth highest electric rates in the state of Florida, as of July 2017, according to Florida Municipal Electric Association. GRU has fallen in the rankings from as high as second in the state in recent years. 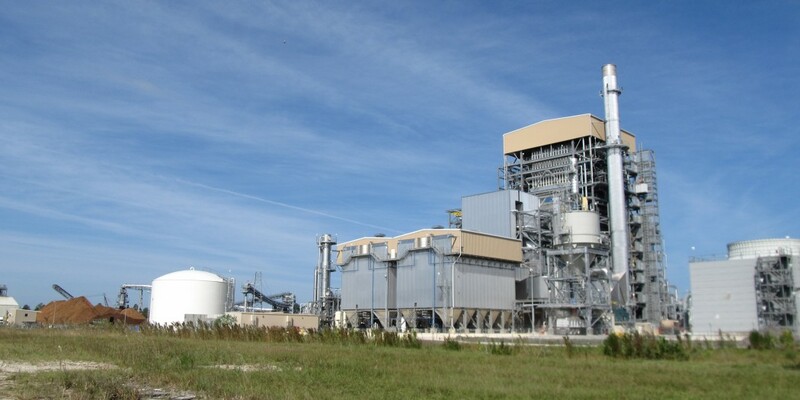 The promised base rate decrease as a result of the biomass plant purchase could balance out the projected increases to as little as a 4 percent increase from current rates. However, that is only if the entire savings of $27 million annually is released back to the consumers through lower rates. If some of that savings is used elsewhere in the budget, customers will still be paying, Orlando said. UAB Chair Darin Cook said he believes that GRU will also need to make adjustments to customers’ taxes before they can see a significant rate decrease reflected in their bills. Currently, the $70 million paid annually to GREC is reflected in the fuel adjustment charge on a customer’s bill, Cook said. With the new proposed budget, the payments toward paying back the $750 million in bonds will be housed within the electric use rate. The electric use rate is taxed, while the fuel adjustment charge is not. Without the reduction in taxes, residents could see as little as a 2 to 3 percent reduction in their bills as a result of the GREC purchase, he said. Despite the signing of the PPA, the city commission has yet to decide on one of two financing options for the biomass plant purchase. 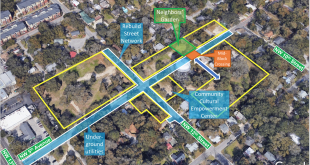 Both options include using 30-year utility system revenue bonds (a type of bond used to finance utility projects) and will add more variables to the future of utility rates for Gainesville residents. Both options bring their own risks and benefits to the table. Once the city chooses a purchasing option for the biomass plant and sells the bonds, they are responsible for making sure that money is paid back to investors in 30 years. While the benefits could mean a payoff for GRU and its customers, the risks could mean owing even more money than they already do, Orlando said. City commissioner Charles Goston said he believes this is a heavy burden to place on the shoulders of GRU customers. For Weber, that number is even less. Despite an extension from GRU until Sept. 29, Weber is still $140 short of being able to pay her electricity bill for the month.